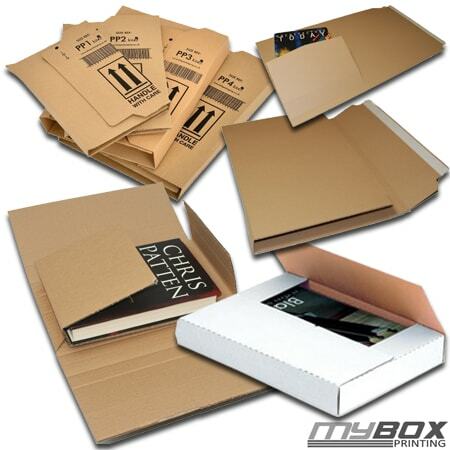 Ensure your books safety while being shipped or stored as well as promote your business with custom printed book packaging mailers and storage boxes. All custom sizes for book packaging is offered by My Box Printing. Whether your publishing is on A0, A1, A2, A3, A4, A5, B0, B1, B2, B3, B4, B5 or any other special size, We are here to produce unlimited quantity of book packaging and boxes. We offer price match guarantee for customers in Europe only who are interested in using our services for any type of book, journals, magazine or manuals packaging. All you need to do is, submit your desired graphics, dimensions, quantity and choose lamination, colours along with material. I highly recommend this company. We requested several suppliers and companies to quote for custom book packaging with logo printing for marketing. These guys sent best price, good quality printing and strong cardboard. They are tear boxes type and easy for amazon type shipments.